It arrived at a rocket’s speed and shows no sign of slowing down. Rewinding three years ago, you would have seen only a handful of ambitious new organisations leading the way and attempting a hard sell of their innovative services to reluctant property companies. Today, proptech is part of the daily life of many lettings professionals: whether it be interacting with modern systems, discussing online articles in the industry news or - your personal favourite - taking calls from those pesky sales people. Whatever your level of interaction with proptech so far, its impressive growth can often be chalked up to three things: the growth of the internet, the need to reform, and an influx of large investment. How have we got to this point and why is there so much interest in proptech? Throughout the 1990s and the early 2000s, the property market was thriving. 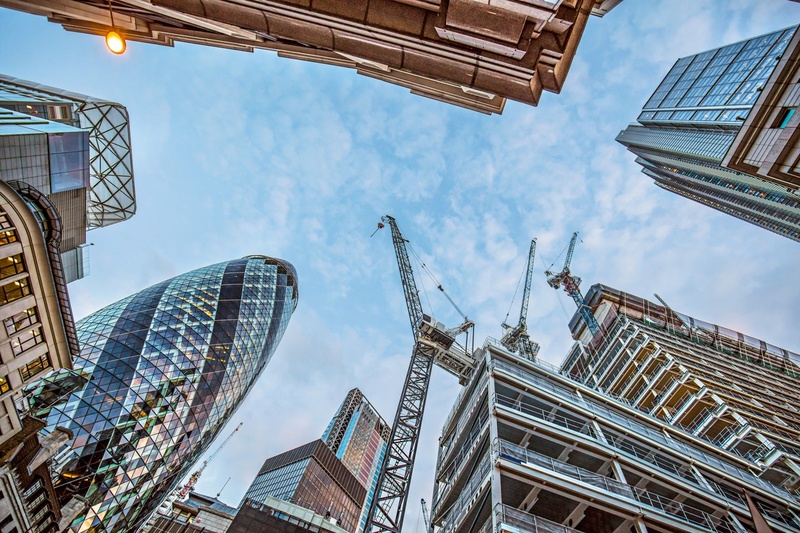 Construction was booming and property developers had no problems offloading their supply through high street agents, who were becoming more and more profitable thanks to successful business models that matched the needs of the market. Then, the internet as we know it today was born. The internet changed how the world operated and conducted its business. In every industry you can find examples of companies who capitalised on the opportunities that were now available to them by adapting their services to changing customer needs - and many of them now count themselves amongst the largest and most profitable businesses around today. The first to do so in property within the UK was Rightmove in 2000, which was founded by four of the top UK estate agencies (Countrywide, Connells, Halifax and Sun Alliance). People no longer had to travel to High Street offices to look for new places to live, and the way the customer interacted with the industry instantly changed forever. With this lucrative trend, online property listing portals popped up all around the world, including Zillow and Trulia in the United States, PropertyGuru and gohome.com.hk in Asia and, in 2007, Zoopla arrived to challenge Rightmove here in the UK. 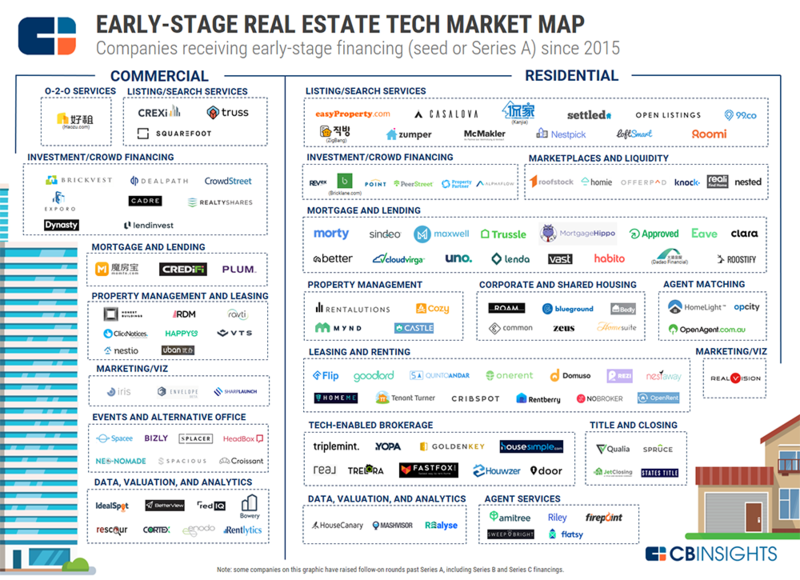 The proptech revolution had officially begun, and its wheels were truly set in motion. "The opportunity is driven not only by the size of the industry and its lack of tech adoption, but also by industry practices plagued by inefficient processes and unnecessary transactional costs defended by self-interested professionals and institutions," says Professor Andrew Baum, Chairman of Property Funds Research. More recently and under a glaring spotlight, proptech has also gained the attention of government bodies and the general public. Why? For the same reason real estate is the world's largest asset: having a place to live is declared a basic need. Additionally, as other industries evolve and the power of technology becomes more influential within them, the voices of those interacting with the property industry become louder and the pressure on it to adapt becomes amplified. For these reasons, we have seen a boom in the number of technology companies from a handful to thousands, all trying to disrupt the property industry. Many of these are supported by some of the largest investors and property companies in the world, adding fuel to the fire and setting the groundwork for an impressive 2018. "Very simply, proptech refers to technology that is aimed at the real estate industry and attempts to change the way we buy, sell, finance and manage property." With the acknowledgement of some of the largest property companies in the world, it’s safe to say that proptech is here to stay. The possibility of the world’s largest asset - property - performing at maximum efficiency is extremely appealing to investors all over the world, and they know technology is the most direct route to this lucrative goal. Forbes and CB insights have both reported impressive venture capital growth in proptech of $3bn globally in 2017, a 36% year on year growth since 2016. The attraction and investment in PropTech has grown rapidly over the last three years, and with numbers in for Q1, 2018 is set to be the biggest year yet. Along with a massive influx of global investments, incubators and venture capital firms have emerged that are solely and relentlessly focused on the success of Proptech. London-based incubator PiLabs and property fund LifeVentures are two of many examples of larger companies branching off and specialising in bringing technology to property. Additionally, in the last year we have seen residential real estate companies get involved too, with CBRE acquiring Floored, and Keller Williams announcing that it is now a "technology company that provides a real estate platform". What does this mean for the letting agent? Technological advancement should be seen as a positive by High Street agents. With the largest global and UK agencies accepting, adopting and innovating their offerings through technology, change is no longer just a suggestion but a firm reality for the modern day letting or estate agent. There are many classic examples of prominent companies ignoring the power of technology and ultimately, losing their business as a result - just think of Blockbuster and Kodak. However (and encouragingly), there are even more examples of traditional and long-standing companies embracing technology and thriving as a result. One example is National Geographic, founded over 130 years ago. Letting agents are in a favourable position due to the fact they engage with their customers directly and daily. They can make the most of the position they occupy by regularly consulting with the people for whom they provide a service, and asking how they can improve their offering. Furthermore, the UK is now well-supported by leading technology companies wanting to help agencies adapt to a changing industry and maximise their efficiency. You may not have to change in order to survive, but it’s in your best interest to speak to your customers and explore what technology could do for your business. Consumer habits have changed, and just like Rightmove transformed the way we search for new properties at the turn of the millennium, we should accept that the business model of traditional letting agents no longer meets the needs of the market. What are you doing to adapt? Goodlord provides one single online platform to streamline the lettings process for agents, landlords and tenants. By digitising tenancy creation and progression, Goodlord cuts pointless, time-consuming administration for agents while transforming the tenant and landlord experience so its more in line with the expectations of Generation Rent. Book a demo to find out how Goodlord can modernise your agency! Coming from an economics and accounting background, Tom enjoys breaking down numbers. He knows a lot about what goes into making a good cup of coffee and he loves cycling.